As a parents we all know first hand how important it is for our babies to be able to sleep soundly, however not every baby gets a good nights sleep every night. I remember several nights with both of my children that involved little or no sleep, late night feedings, rocking for hours, I would do almost anything to help my little ones sleep through the night when they were infants. So that's where Sleeping Baby comes in, four years ago Zipadee-Zip was created as a solution to this common issue. The Parkers were even featured on Shark Tank and are excitedly inspiring dreams one night at a time! The Zipadee-Zip is a swaddle transition blanket, shaped sort of like a starfish and is designed to offer babies the cozy, womb-like feeling of being swaddled. When your baby is wearing Zipadee-Zip they still have the complete freedom to move and roll around safely! Zipadee-Zips are available in variety of fun prints for boys and girls and you can purchase them in sizes small (3-6 months) up to large (12-28 months). So what do you think? I wish Zipadee-Zips were around when my children were babies, these would of come in handy! Connect: Follow Sleeping Baby on Facebook, Twitter and Instagram! Buy it: Purchase your own Zipadee-Zip online! Win it: One lucky reader will win a Zipadee-Zip! I'd love to have a Birds of a Feather Zip-a dee-Zip for my grand niece. These look like a great piece to have. Love song birds! Great for swaddle transitioning! 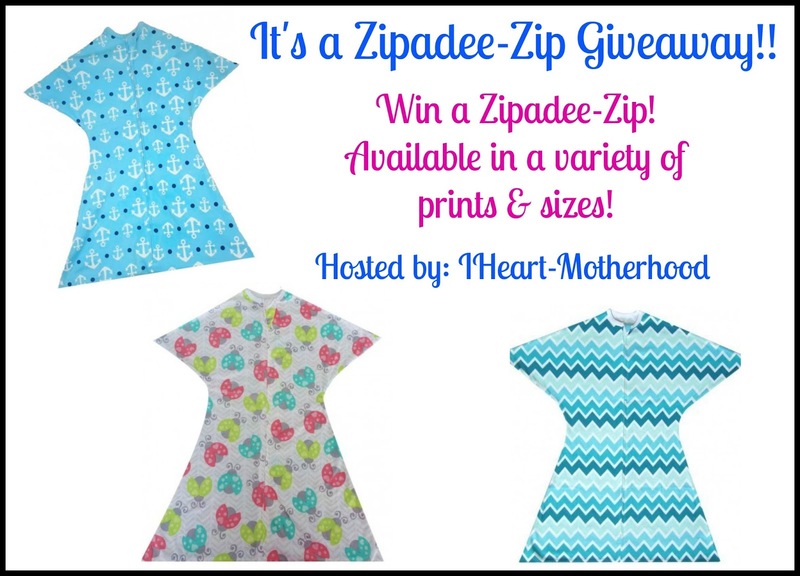 I would love to win a zippy, all my friends have one and since my little one will be 4 months soon I think swaddle transition is coming! I just bought my first zipadee-zip, and it has helped a lot with transitioning my 5.5 month old out of the swaddle. I was dreading the change because she never fell asleep without being completely swaddled and she always woke up right away any time she broke out of the swaddle. It took her a night to get used to the change, but now she's sleeping just as well as she did in the swaddle, which for us still means one middle-of-the-night feeding, but you won't hear any complaints in that regard! My current favorite is Enchanted Forest, though I also love some of the animal prints they've had in the past!! Love love love Anchors Away! I just heard about these from a fellow mom and after looking into them I I want to try them! They seem like the perfect solution for the swaddle transition. I love the starry blues print and anchors away prints! We are big fans of the Zippy in our house! Their new Mustache Mayhem print is adorable! We are big fans of the Zippy in our house! The new Mustache Mayhem print is adorable! I'd love to try this out in a month or two when my little guy is done with the swaddle. I like the Anchors Away print!